5 push buttons make possible the implementation of projects where menus are visualized on the LCD display and selections are made by the pressure of the buttons, each of them numbered from 1 to 5. The board equipment is integrated with a trimmer used to regulate the display contrast and there is also a RESET button used to reset the Arduino board below. Formal Arduino shield connectors are mounted on the board, this allows to access all spare, not jet utilized, Arduino signals. 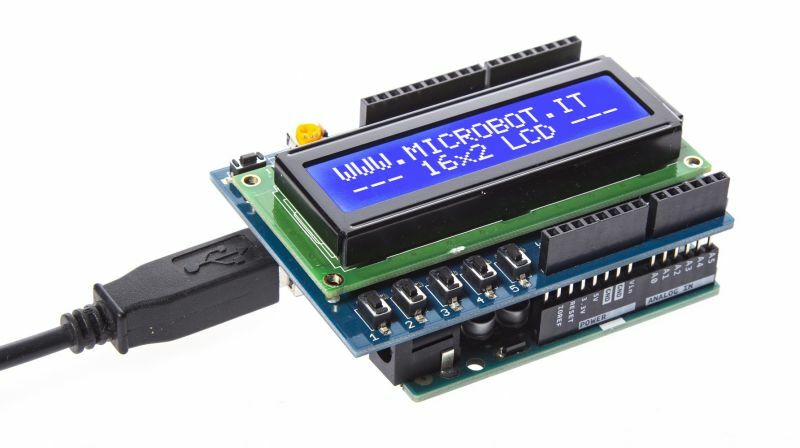 The control of the LCD display is done by the Arduino board through the connections showed in Tab.1 and it is possible to use the libraries already available in the Arduino programming software. 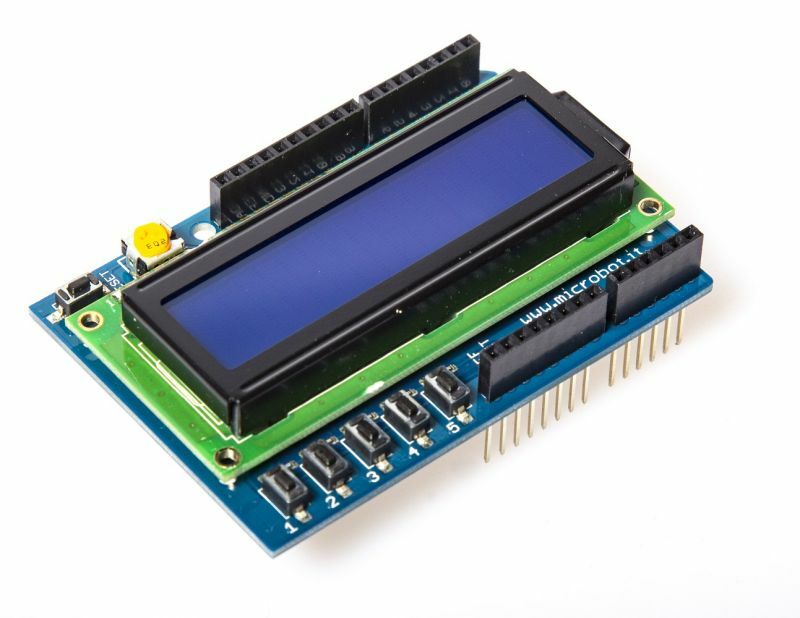 The LCD display uses the SPLC780D controller. Character set is different from the datasheet, so please refer to the relating link.